I colored my image using very soft colored distress inks. I had most of the colors I wanted for my flowers, with the exception of the large flower, so I colored it with my Copics Airbrush System. I hope the rest of your weekend is wonderful. Thanks for visiting! I colored my image with Copics, and used my distress inks to color the edge and the bottom of the white cardstock. I have some sea shells that I got at hobby stores. I added them to the bottom of the image to carry on the beach theme. I am also entering this in Sassy Cheryl's Challenge #22, Thinking of You. I just love Sassy Cheryl's adorable digis. Check back again tomorrow my Magnolia Down Under/Mojo Monday card. Have a great weekend! 13 comments that make blogging fun! The challenge this week at Cute Card Thursday is Texting Crazy, which could make you reach for your cell phone. No, it is not about the phone, it is about the text. 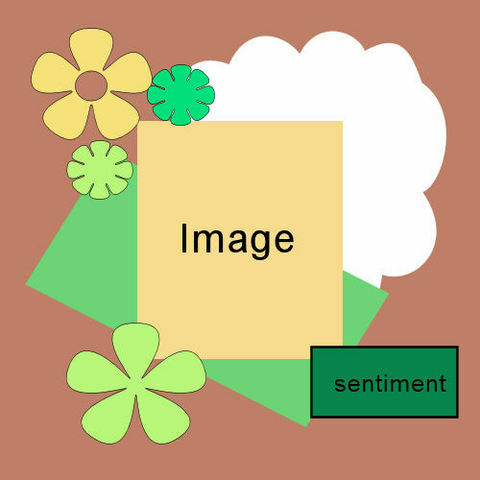 This week, we are focusing on the words we use on our cards, making the sentiment the focal point. The paper is SEI Moravia. The stamp is actually one I have had for years. I am not sure of the specifics on this stamp. I distressed all the papers and sewed the papers together. 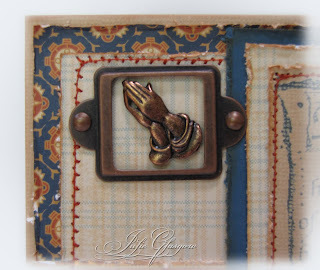 Again, I have had the praying hands for so long, I am not sure who the manufacturer is. 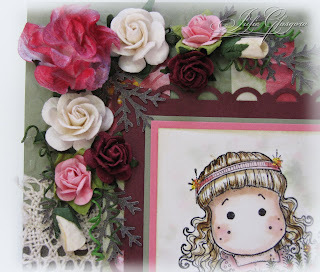 The frame is Hodgepodge Hardware from SU! (retired). I will say that though the passing of our dear friend has made me sad, it was a blessing in disguise. She had been ill for so long and she is finally free of the torture of her disease and is in a better place with Jesus. I am taking comfort in that. 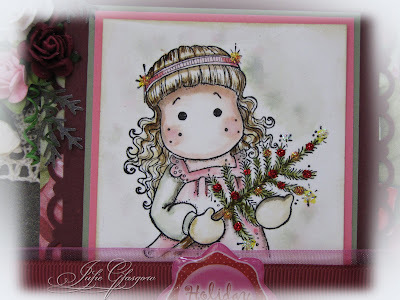 Check back tomorrow for my last Dare U 2 Digi Stamp guest designer card. Time for another Cute Card Thursday Challenge. 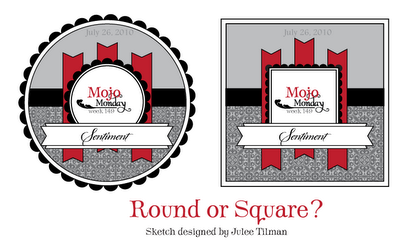 The challenge this week is a sketch by design team member Deb. 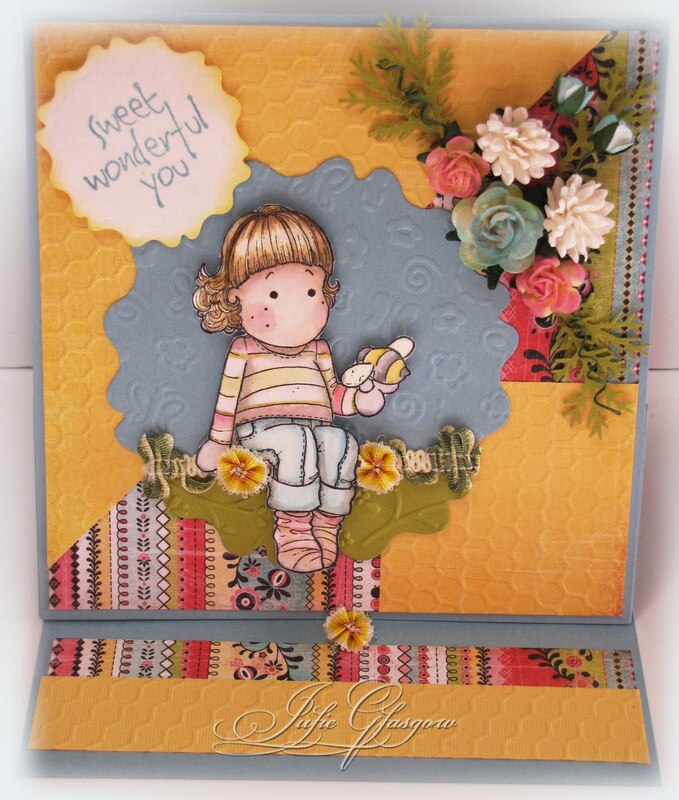 I am also entering this in Wild Orchid's Challenge #1 - Say It With Flowers. As usual, I colored my images with distress ink. I used the masking technique to place Tilda in front of the open gate. This is my first attempt at using the Chandelier Garland. I like the fact that it looks like raindrops, so I placed them to imitate raindrops falling on Tilda. I love to layer flowers to create interesting bouquets. I used the gray flowers to imitate clouds. I again used my Build-a-Brad to tie my brad back to my designer papers. I used my Storybook Cricut cartridge to cut out the cloud, and embossed it with my Swirls embossing folder. I hope you have a great remainder of your week! 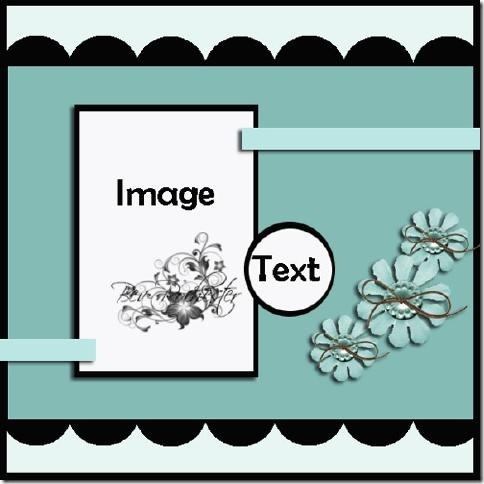 Accessories: Ribbon Trends, Hodgepodge Hardware, flowers, leaves, Cricut, An Ocean of Words cartridge, Crystal Effects. Little Mermaid Tilda is available for preorder at 7 Kids College Fund! Isn't she just the cutest! I colored her with Distress Ink. I added glaze to make the bubbles stand out a bit. I did a simple finish for the inside of the card. Check back tomorrow for the Cute Card Thursday Challenge. 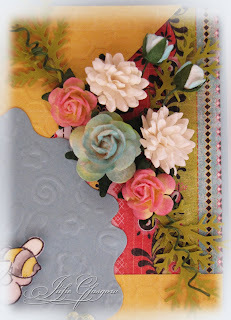 Accessories: Sizzix scalloped circle, texture plate, sanding block, flowers, branch punch, Stickles, Build-a-Brad, rhinestones. I colored Honey Tilda with distress inks. 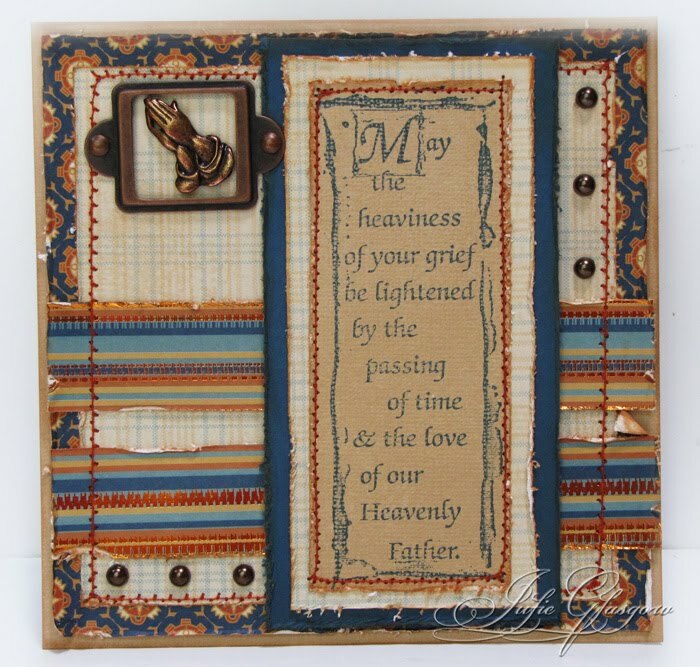 I cut out my image and layered it over a scallop circle, embossed with a texture plate. I used a piece of the Black Magic paper, which allowed me to sand off the black of my embossed circle, revealing the honeycomb. I used a build-a-brad with a small circle punch of my patterned paper to embellish my sentiment. The outer border is Stickles. 7 Kids College Fund has a great selection of Magnolias, paper, flowers, Stickles, cutting dies, and everything else you need to create your masterpiece. Gotta love that shrink plastic. You can find shrink plastic at 7 Kids College Fund. You can also find a great selection of Magnolias at great prices. We have a Cavalier King Charles Spaniel, and I have a stamp for him, so I was able to include him in our family portrait. Here is a picture of the bracelet all laid out. Dare U 2 Digi Stamp has a great challenge this week. It is "Stitching." This is whatever kind of stitching you want, real, faux, machine, hand-stitching. This beautiful shoe comes from the incredibly talented Sketching Stamper, Chris Dark. 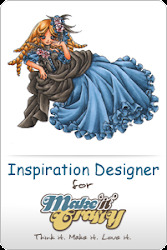 Her designs are so detailed and amazing, you have to check them out! When I saw this stamp, I really wanted to give it a florally 3-dimensional feel. This was the perfect challenge. I used my piercing tool to create some random holes, then used a simple embroidery knot in a couple of colors. To fill in the blank areas, I used a gold paint pen and some copper Stickles. I love how the stitching brings the shoe to life. Go check out Dare U 2 Digi Stamp. They have great challenges. Who doesn't love a good challenge? I am so thrilled to announce that I have been invited to join two design teams this month, 7 Kids College Fund and Cute Card Thursday. What a surprise this was for me. I love 7 Kids College Fund. They have such a great selection, awesome prices, and great service. Cute Card Thursday has always been one of my favorite challenge blogs, so it is an incredible honor to me to join this team. 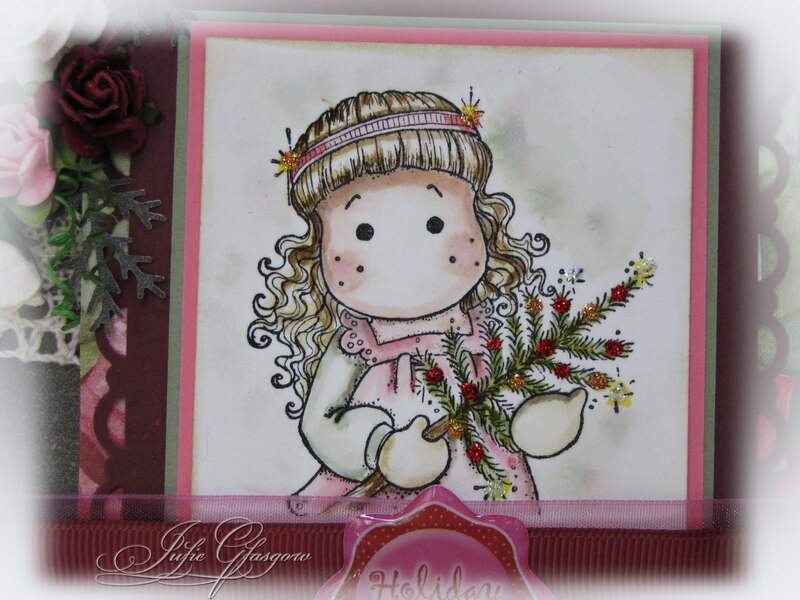 Here is my Christmas in July inspiration card. Thanks for stopping by today. 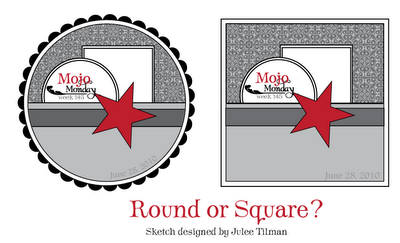 Check back tomorrow for my Dare U 2 Digi Stamp card. 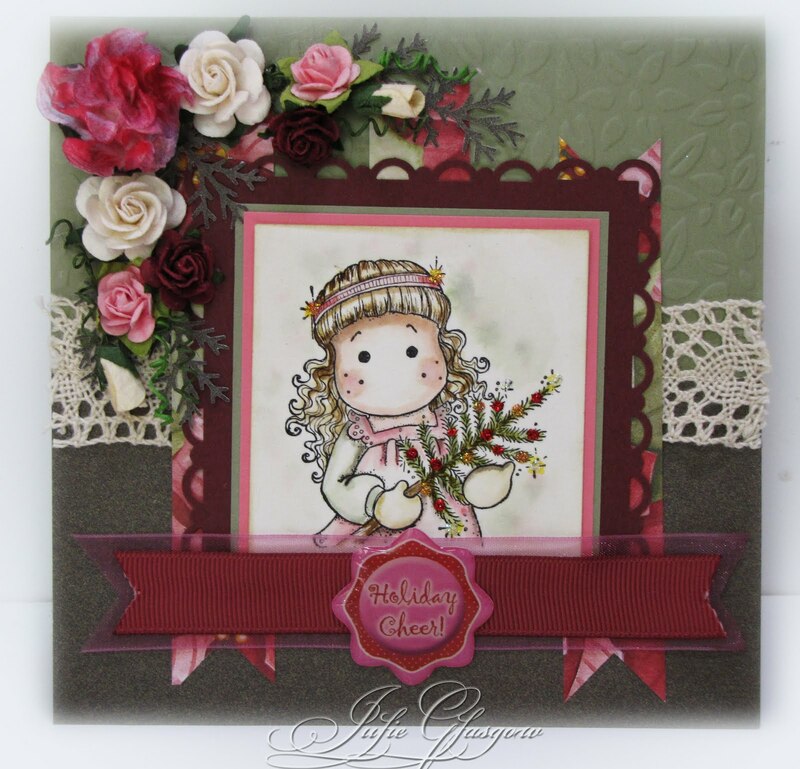 Welcome to the Wishes for Bella Blog Hop Week 4. You should have arrived from Elizabeth's Blog. 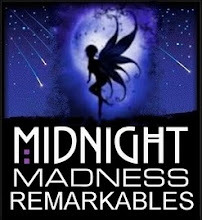 If you have just joined us, jump on over the beginning on Denise's Blog. 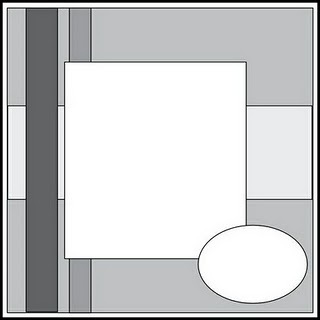 Paper: Urban Prairie (Basic Gray), Baja Breeze, DCWV textured cardstock. I had some white flowers that I wanted to color blue, so I used my Copics Airbrush System. You can find many of these items and a great selection of flowers at 7 Kids College Fund. One more thing...Erin is offering the opportunity to win some wonderful blog candy. 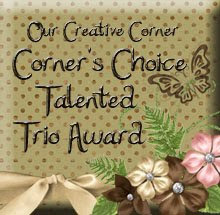 For every card you send to Bella, you will be entered in the drawing for the fabulous prize. To learn more, visit Erin's Blog. The winner will be posted July 20. From here, you will hop on over to Tanya's Blog. 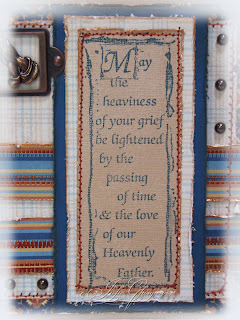 I hope you enjoy the blog hop and that you will join us in sending some love and prayers to Bella. 29 comments that make blogging fun! 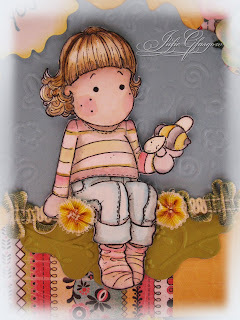 I am thrilled to have been invited to be the July guest designer for Dare U 2 Digi Stamp, a biweekly challenge blog for stampers who love their digi's. I love this little fox. He reminds me of a fox we had on the hill in our back yard about two years ago. We sat at the window and watched that little cutie for so long. 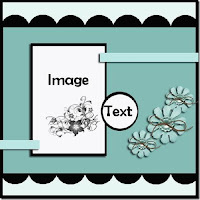 I used some seed grass as an embellishment to tie to the grass in the image. I love seed grass because it adds dimension without being girly and flowery (for those guy cards). This wonderful paper from SEI has copper foil incorporated into the design and looks so wonderfully elegant in the light (hard to see in the pictures). I used my new Bowdabra to create this bow out of wide organza ribbon. I stamped the sentiment in Versamark and embossed with copper embossing powder. I love the effect on the copper tag.